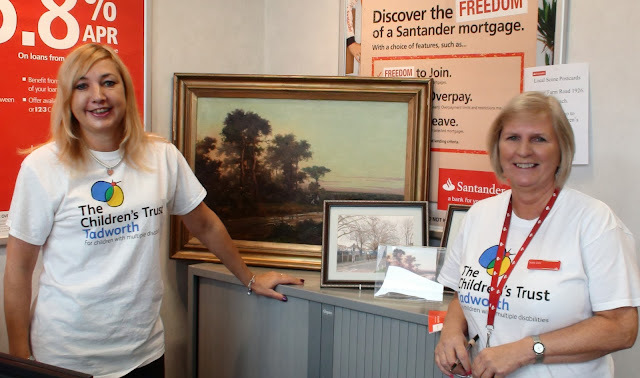 A rare oil painting of the local area is being displayed at Santander in Central Road to raise money for a local charity. 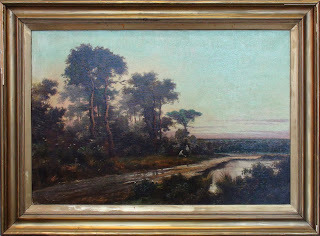 The painting, “View Near Worcester Park, Surrey” was painted by Scottish Artist Jack Ducker in 1926 and shows what is believed to be a view from Sparrow Farm Road, previously known as Elm Lane after the farm that was there. Little is known about the artist J M Ducker but it is believed he specialised in landscapes, especially in the Scottish Highlands and also in Surrey. Richard Johnson, a local Worcester Parker who owns the painting was in the Central Road branch of Santander chatting with staff about their support of the Tadworth Children's Trust charity when, as they were looking for ideas to fundraise he offered to lend them the painting so they could display it and sell postcard reproductions as well as raffle tickets with the proceeds going to the Charity. All branches of Santander in the Sutton area are currently raising money for the Tadworth Children's Trust. Every pound raised by the braches is matched by the company and £15,000 has been raised for this charity so far this year. They are looking to have the painting on display tomorrow (Saturday 28th) and Monday, possible a little longer if it is popular so go and have a look sooner rather than later. Adele and Ann (pictured above) and the other staff there will be happy to give you further details or sell you some postcards or raffle tickets! This particular painting has been featured in Worcester Park before but has never previously been put on display in the High Street. Is was exhibited last year in St Mary’s church, Cuddington and has been used before for postcards to sell in aid of both St. Raphael's Hospice and Stoneleigh Youth Trust. Local historian David Rymill wrote about the painting in last year’s September issue of ‘Worcester Park Life’ magazine (pages 7 & 8). He went with Richard to try locating the scene using local maps and photographs of the area from the inter-war era and using clues left by the artist. 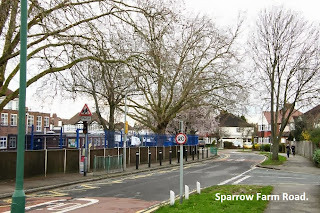 They came up with the Sparrow Farm Road location as the most likely possibility. 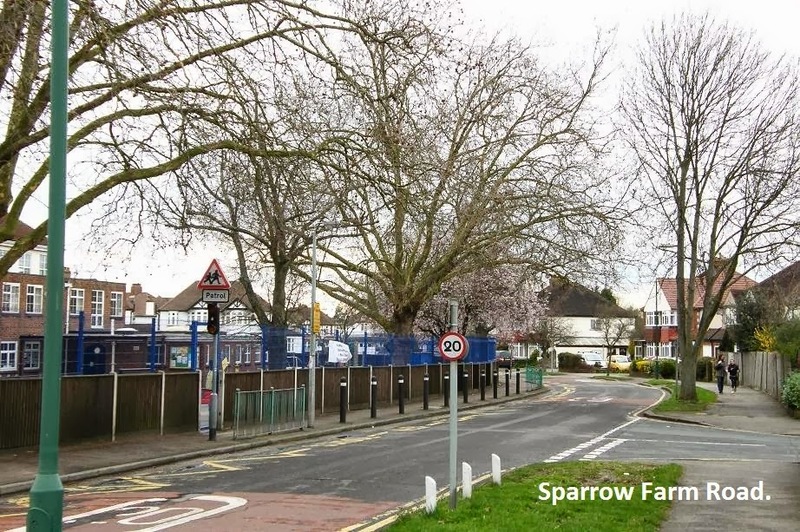 However if anyone should have a c.1926 photograph of today's Sparrow Farm Road, this may be 'the missing link' they have been seeking, so please get in touch if you do. A vintage oil painting of the Worcester Park landscape is surprisingly rare. Although the London Borough of Sutton records 126 oil paintings and Kingston another 80 in their respective collections, all showing a multitude of scenes across both Boroughs, apparently not one single painting shows a location in Worcester Park. So this is quite a special picture. Adele and Ann were pleased to tell the blog that they managed to raise £90 for Tadworth Children's Trust charity. This was from selling several of the post card versions of the painting and many raffle tickets. Santander will be matching that amount so in total £180 has been raised for the charity. Good work Worcester Park and Santander!